That’s right! 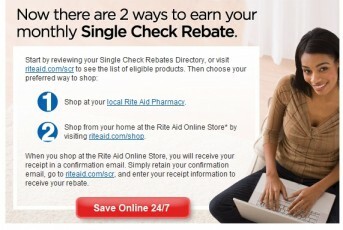 Now you can purchase Rite Aid Single Check Rebate items online. 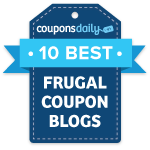 Sure, you can’t use coupons on them, but this offers those of us that don’t live close to a Rite Aid the opportunity to take advantage of the great FREE after SCR items that they often have. Getting your rebates is easy! Just login to the enter receipt page. Enter the information from your Rite Aid Online Store confirmation receipt, and then hit the “Enter Receipt” button at the bottom. You’ll receive your rebate in the form of a check the following month that you can cash at your bank.